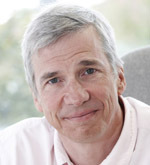 Professor Clark was educated at Pembroke College, Cambridge, and trained in medicine at the Westminster Medical School. He trained in cardiology at Manchester Royal Infirmary, the National Heart and Lung Institute (London) and the Western Infirmary, Glasgow. Whilst at the National Heart and Lung Institute, under the guidance of Philip Poole-Wilson and Andrew Coats, he developed an interest in exercise physiology, particularly in patients with heart failure. He moved to Hull in 1999 and was promoted to Professor in 2009. He is responsible for running the echocardiography service in Hull, and he plays an active role in the day-to-day provision of cardiology services to the population of Hull and the East Riding of Yorkshire. He is a chair of the British Society for Heart Failure, and is a member of the working groups for Heart Failure and Cardiac Rehabilitation and Exercise Physiology in the European Society of Cardiology.